Henry James? Fred Rogers? Billy James? Leon Edel? Apocryphal? 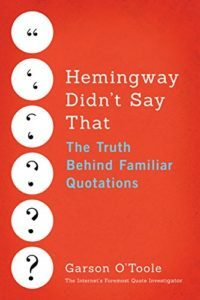 Dear Quote Investigator: The prominent American literary figure Henry James apparently crafted an expression with a three-fold repetition of the phrase “be kind”. The influential children’s television personality Fred Rogers has been credited with a similar statement. Would you please explore this topic? Quote Investigator: A landmark biography of Henry James provides substantive evidence that he did construct this saying. There is also evidence that Fred Rogers employed an instance of this remark; however, Rogers credited James. See the 2003 citation given further below for details.